Upstream (1927) strays far from director John Ford’s classic Western landscapes. Centered on an eclectic mix of stage actors, knife-throwers, and vaudevillians, Upstream is a backstage comedy set in a busy New York boardinghouse. 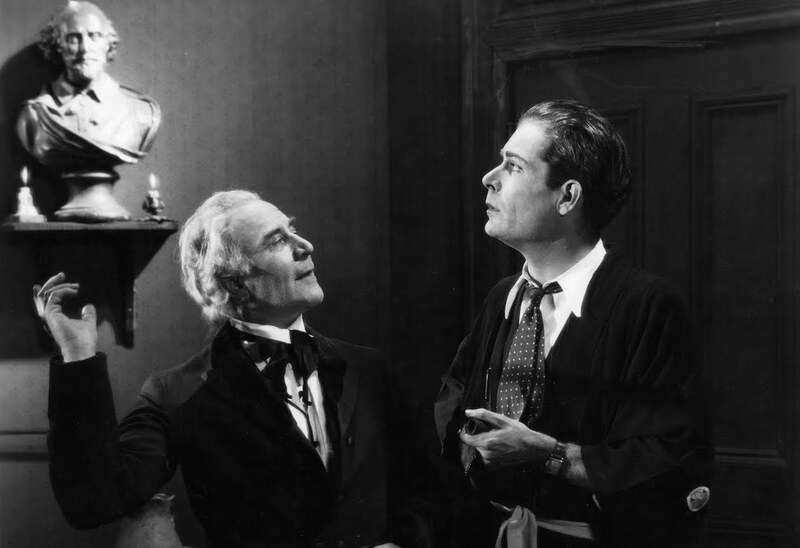 Tensions arise after a member of the household, a pretentious thespian named Eric Brashingham (Earle Fox), is summoned to London to perform Hamlet. Upon his return, he meets with rejection from his former friends. Less than twenty percent of Ford’s silents survive, and for decades Upstream was mourned as a lost film. The 2009 rediscovery of an Upstream print in the New Zealand Film Archive delighted cinephiles and archivists around the globe. Upstream will be presented with live musical accompaniment. Pianist and composer Michael Mortilla will perform his original score with Nicole Garcia (violin/percussion) and Frank Macchia (mixed woodwinds). This event is sponsored by the Carsey-Wolf Center as part of its Uncanny Histories conference.